Have you ever heard of The 5 Love Languages? It’s a book written by Gary Chapman that has sold over million copies and has transformed countless relationships. I had heard about it long before I read it. I first read it as part of one of my pastoral studies classes. 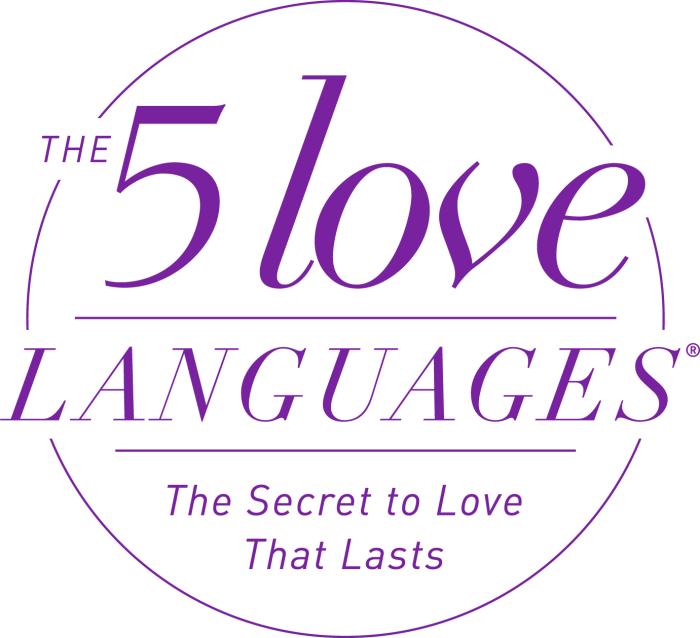 The premise of The 5 Love Languages is that there are 5 basic ways we feel loved. Physical Touch, Acts of Service, Receiving Gifts, Words of Affirmation, and Quality Time. We all have a primary love language and many of us have a strong secondary love language, or way we feel loved. Naturally we usually give love the way we like to receive it. Unfortunately, the person we are giving love to, our spouse, child, friend etc. probably speaks a different love language so they don’t receive love the way we easily give it. Oh no! What can we do to learn to speak their language? We can read the books and/or we can download the Love Nudge App to help us. On the Love Nudge App you can take the 5 Love Languages Assessment and reveal your love language. 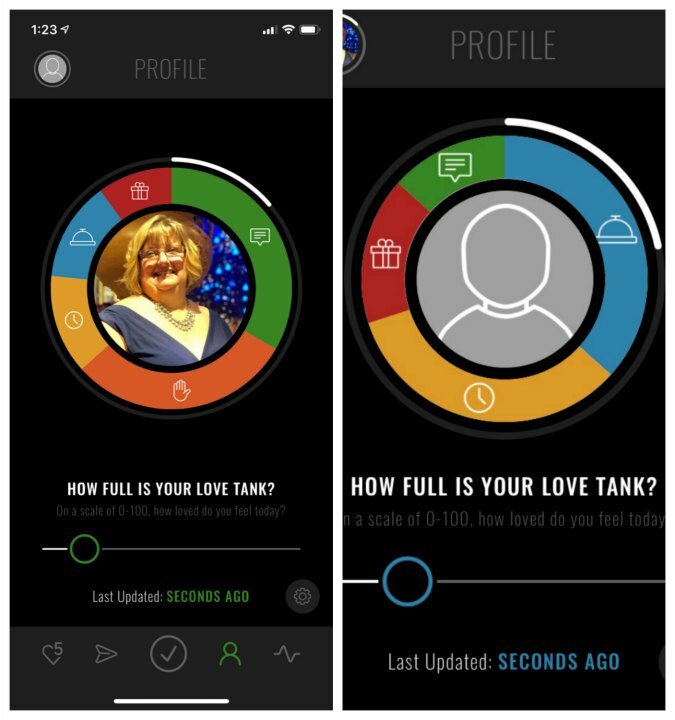 You can also send the app to your spouse and have them take the assessment. Then the real journey begins as you learn to speak each other’s love language. The app lets you send nudges to your spouse to suggest things they can do to help you feel more loved. Love Nudge for Couples from Dr. Gary Chapman on Vimeo. Take Ron and I for example; my primary love language is Words Of Affirmation and my secondary is Physical Touch. Ron’s primary is Acts of Service and secondary is Quality Time. Ron has a 0% need for Physical Touch…can you see how that is a problem? We realized when we downloaded the Love Nudge App and took our assessments that my need for physical touch had been mostly been met by our son, Jordan, whose primary love language is physical touch. He is a hugger and toucher who, got married in September and now doesn’t live in my house and isn’t around for daily hugs! Ron and I have been using the Love Nudge App for a few weeks now and honestly, it started out as a bone of contention between us for the first week. Ron saw his lack of speaking my love languages as a failure as a husband and he didn’t want an app, or me, telling me he needed to change. I saw this all as a challenge and one I have failed in the last two weeks. The first week I was barely home in the evenings because I was working on a huge project at church. It is hard to do Acts of Service and/or Quality Time when you aren’t around. The second week I was so busy catching up from the first week I did get a few Acts of Service accomplished and as far as I know, they went unnoticed 🙁 As a Words of Affirmation girl I need to hear, “Thanks for doing…” We are very much still learning how to speak each other’s languages and we are committed to this so that our marriage will be even better! We have a giveaway! Download the LoveNudge App and be entered to win Dr. Gary Chapman’s #1 New York Times bestseller The 5 Love Languages®, The 5 Love Languages® for Men, AND The Love Languages Devotional Bible (hardback)! Go to https://www.blessedfreebies.com/lovenudge.html to enter and for more details. No matter how long you have been married, or how good your marriage is, it can always be better. The Love Nudge App is a free tool to help you out. The 5 Love Languages would be very helpful for ant relationship.